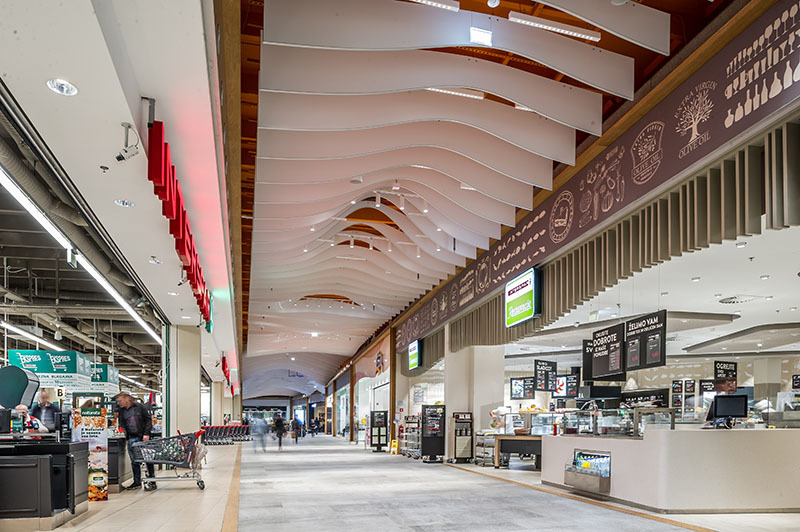 The Shopping centre Vič, built over 30 years ago, functions as a community generator of the Vič quarter of Ljubljana. 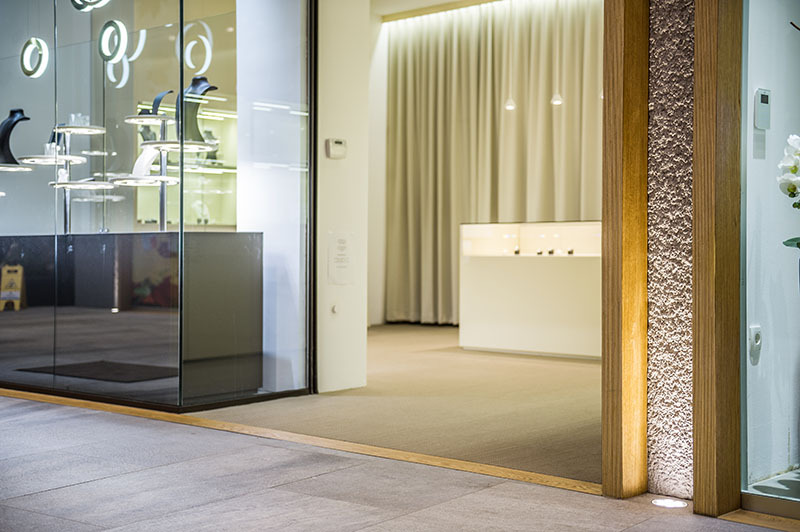 The Centre has become a regular part of the costumers’ lives. 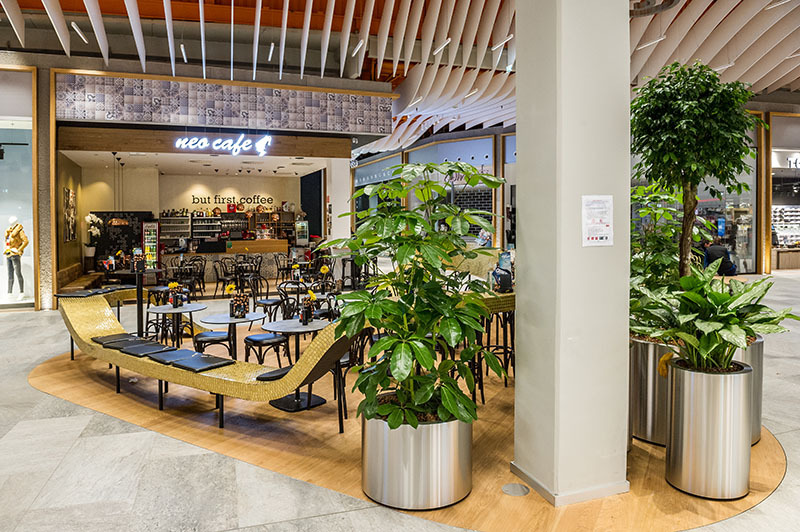 By renovating it, we are enhancing the indoor promenade as a place for the customers to relate to. 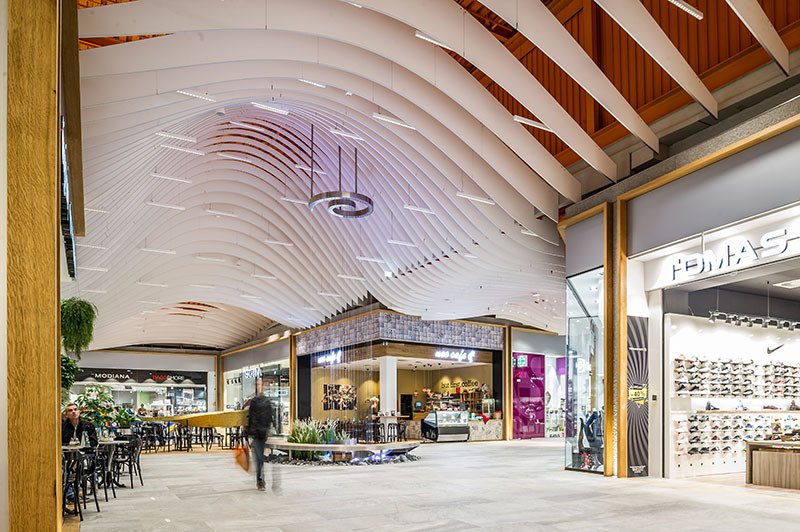 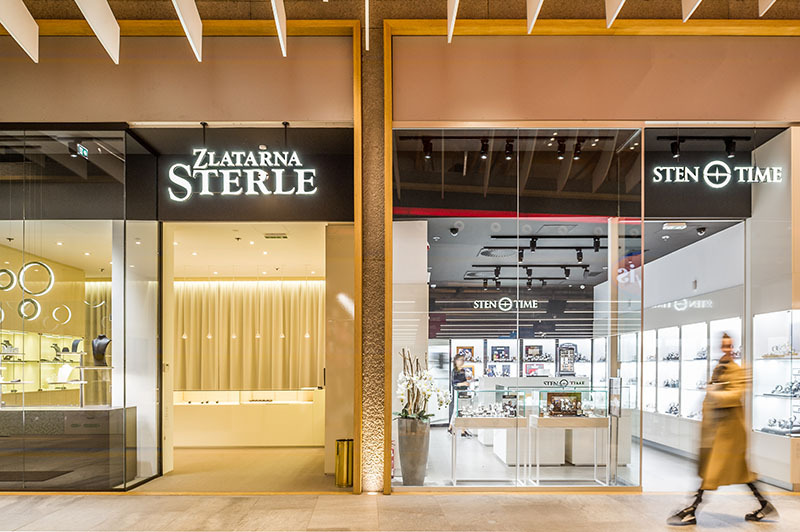 the introduced elements from natural surroundings such as soft weaves of the ceiling lamellas, natural wood shopportals, transparent openings among mall and shops, the natural stone flooring look, water feature and greenery transform the indoor retail space into a pleasant environment. 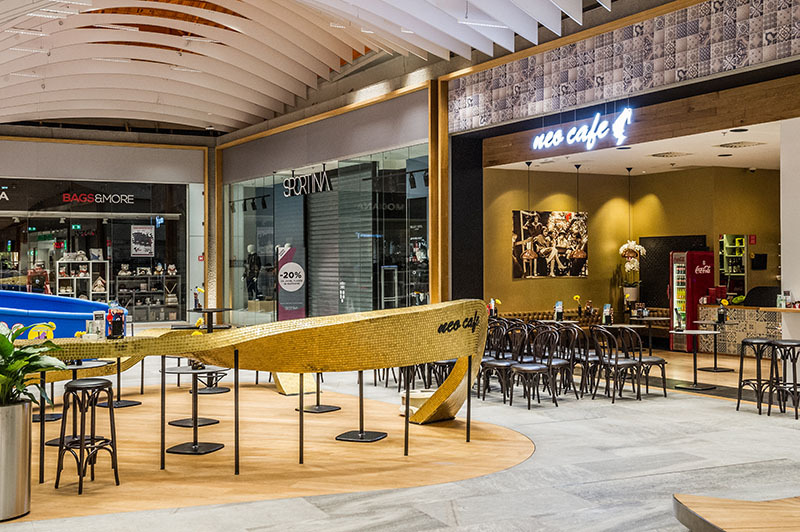 The piazza as the focal centre of the Centre provides a common area of seating islands, terraces, multi-purpose area and sale’s kiosks and has become a factor calling attention to the space. 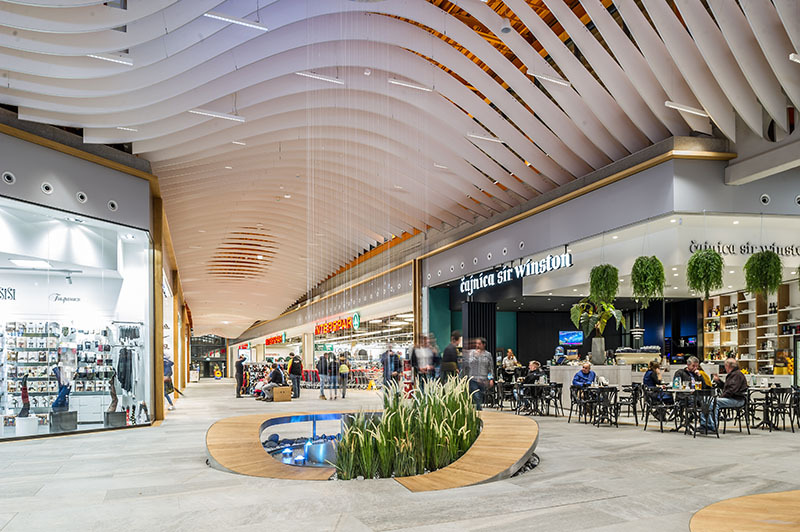 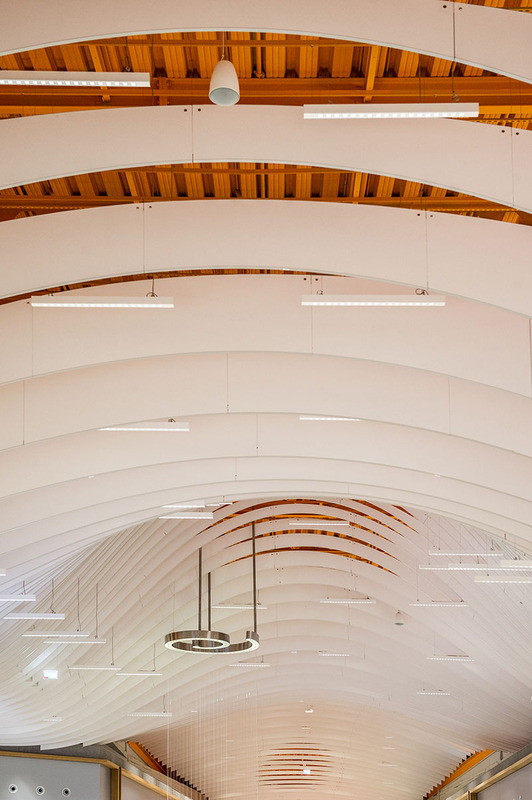 The Centre’s refurbishment invites the users to spend time by shopping, wandering, socializing, relaxing – giving the consumers a reason to get out of their homes and visit the centre instead of shopping online. 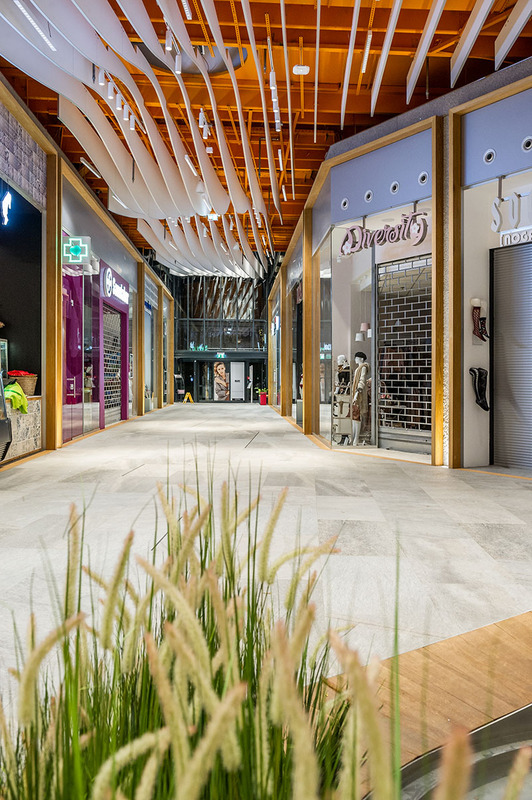 Project typeRefurbishment, RetailLocationLjubljana, SloveniaArea1,500 m²Inv. 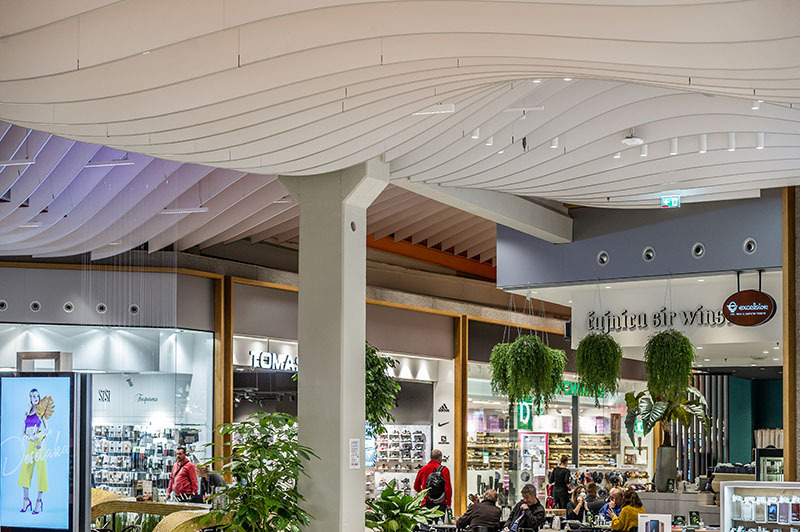 value€2,000,000.00Year(s)2017–ongoingServicesarchitecture, structural design, lanscape designArchitectureElea iCInvestorEuromarkt d.o.o.